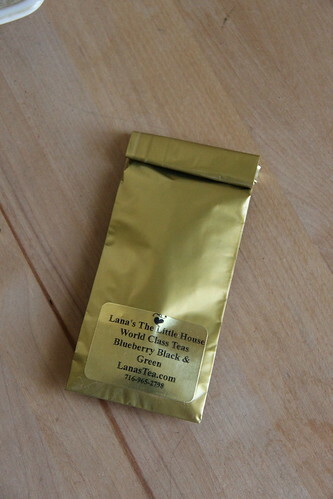 Another of the samples that I picked up from Lana’s Teas was the Blueberry Black & Green. 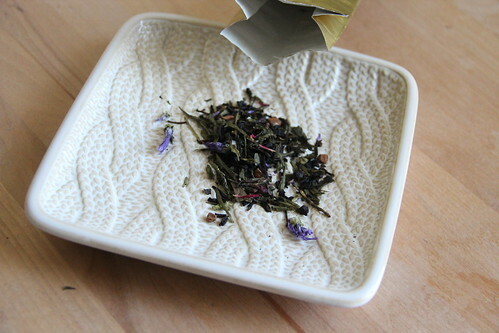 From the website, the tea is a blend of black and green tea leaves with blueberry and cinnamon. It’s available in the 4oz size for $13 and sample size for $3. When I first opened the package it smelled almost of maple syrup. Once brewed the tea I could definitely smell the cinnamon – when I first opened the lid on my mug I thought there was apple pie in there! The taste was mostly cinnamon with maybe a little bit of a fruit finish. It was kind of an unexpected surprise in this blend.